With CuddeLink Cell now you are able to view all your photos on your cell phone or computer while in the comfort of your home. Perfect for those that live far away from their hunting property, or simply want the convenience of images emailed directly to them. CuddeLink Cell receives images from up to 15 Remote cameras and emails them directly to your inbox. Only one Cell Home is needed in each network and ONLY ONE CELL PLAN is required. Saving Serious hunters serious money. With built in IR and Black Flash, Dual Flash is ready for all users in all situations. Program Dual Flash to use IR or Black Flash, or select IR for images and Black Flash for videos or any combination you wish. CuddeLink Dual Flash Cell - the ultimate in versatility and performance with cell capabilities. G Series camera with cellular capabilities. Features all the functionality of the G camera. Will e-mail images from itself and up to (15) remote cameras, all on one cell plan. Functions as Home, Remote or Repeater. Powered by (4) D batteries which last longer than AA size batteries. Removable flash module allows upgrading or changing flash types. Dual Flash (IR & Black Flash built-in). Flash range 50 - 100'. 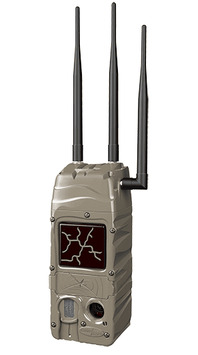 Zone control PIR animal detector. Advanced full featured user interface.